Attention VSAN users. A new Log Insight content pack has just been released specifically for Virtual SAN. For those of you not familiar with Log Insight, this product does automated log management through log analytics, aggregation and search. It allows administrators to analyze terabytes of logs, perform smart parsing to discover structure in unstructured data, and enable interactive, real-time search and analytics through a GUI-based, easy to use interface. 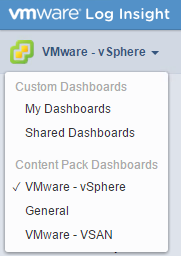 The new content pack introduces a new dashboard specifically for VSAN. The VMware – VSAN content pack for Log Insight provides deep knowledge and insight into VMware Virtual SAN logs. The content pack contains various dashboards, queries and alerts to provide better diagnostics and troubleshooting capabilities to the Virtual SAN administrators. You install it in the same way as you install any other Log Insight content packs. 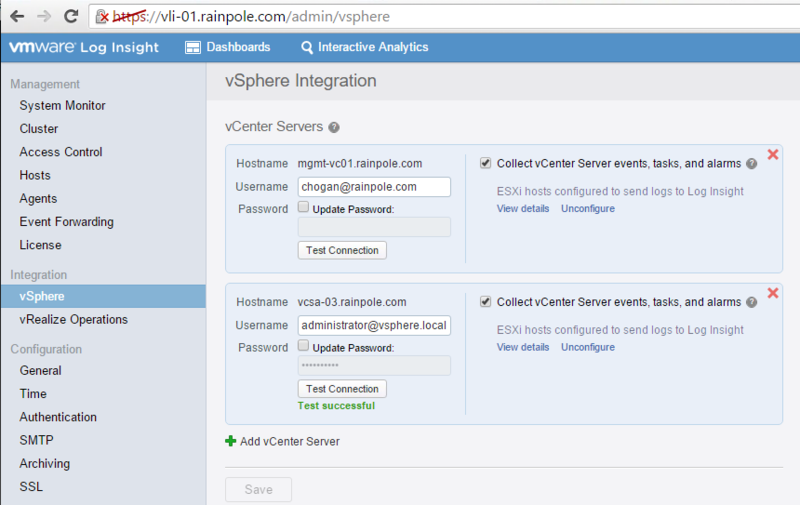 Then connect Log Insight to the vCenter server that is managing your VSAN cluster as shown below. Once that is complete, the new “VMware – VSAN” dashboards are now available. As you can see, there a bunch of different area that can be examined. Remember that Log Insight is primarily looking for errors and issues with your VSAN environment so if everything is working well, the reports will be mostly empty. Here are some examples taken from my VSAN lab environment. Click on the screenshots below for a larger view. The screenshot above is looking at showing events related to the creation of objects. In the screenshots below, we are looking at congestion, and in particular device latency. It would appear that in my lab environment, I have encountered above average device latency on a handful of occasions over the past 24 hours. Again, click on the screenshots for a larger view. So you might ask yourself – “OK, Log Insight is telling me that some device has latency issues, but what does that mean?”. If you click on the “i” information icon, this will give you more detailed information about the event, and in some cases it provides a link to a KB article with even more information. I’ve only scratched the surface here on what this can do for you. 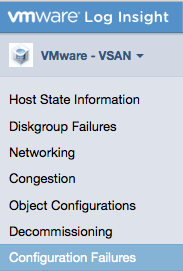 This would be a great feature for customers who are managing VSAN environments. If you are already using Log Insight and have a VSAN environment, I’d strongly urge you to try this content pack. Remember that Log Insight can also be plumbed up into vRealize Operations Manager to extend your overall management experiences with vSphere. For those of you not using Log Insight, it might be time to consider it. The content pack can be found by clicking here for the VMware Solutions Exchange.